This city park recreates elements of the history of the Lynnwood. BRH designed site grading, water, storm, and sanitary sewer systems to support the relocation of historical buildings. Our scope also included the gardens, trails, picnic areas and parking. Sustainable design for stormwater included rainwater harvesting. The tennis club added a Pro Shop and also expanded the North lawn. BRH assisted the design team with grading and erosion control, drainage, and the installation of a ‘green’ stormwater system. The key to all services was to meet the City of Seattle’s low impact specifications. The 14,000 sq. ft. North Mason library required comprehensive civil engineering design for grading, drainage, sewer, and water supply. A study of comparable library facilities enabled us to substantiate a sewage system design which minimized site impacts and space requirements and saved several weeks in the schedule. 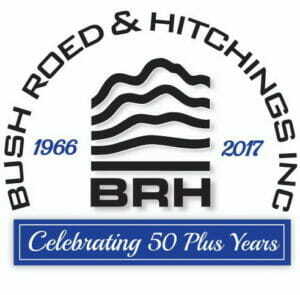 BRH has provided multiple engineering and surveying services for this recreational facility, which was founded in 1927 in Seattle. These have included on and off-site civil engineering for the utility network, stormwater management, and design of a reconfigured parking lot. This 1.3-acre park fronts on a branch of Seattle’s Thornton Creek. The scope included multiple agency coordination for utility easements, parcel donation, street vacation, and street dedication. In addition, streets were re-configured at the intersection of Roosevelt Avenue NE & Pinehurst Way NE. This museum is the largest private air and space museum in the world. BRH surveyed the 40-acre campus in multiple phases. Scopes on both sides of East Marginal Way included substantial underground utility detection, topography, boundary control solutions, and vertical datum resolution. BRH provided topographic mapping, from the waterline to the uplands boundary, to support landscape improvements for the 18-acre, City of Bellevue park. Our scope included all locatable utilities, trails, the parking area, the dock, retaining walls and beach areas. The University of Washington is renovating the 1.7-mile trail segment that runs through the campus. BRH provided boundary and topographic mapping along the trail, depicting elevations, vegetation, utilities, and surface features. Potholing for utility investigation was required, as was delineation mapping of the wetland limits.